The Green is a little low for float fishing. but fishing well. The New Fork is fishing well. Fishing is good at Soda Lake. 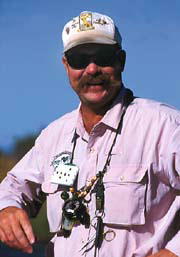 The dry fly fishing is great! The Green is flowing a little low for float fishing (250cfs) at Warren Bridge, but the fishing is great. 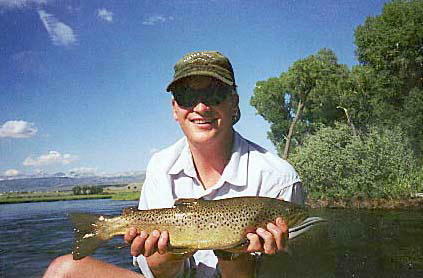 Streamer fishing on cooler cloudy days with brown or black Woolly Buggers is very effective on browns. They are starting to stage and will eat a streamer if put in their face. The fishing is great in some of the lower lakes. Boulder, in the inlet area, has been good for nice rainbows. Stripping Muddler Minnows just under the surface works great for rainbows. Soda Lake is also fishing well. The browns are in the spawn mode and are feeding well. 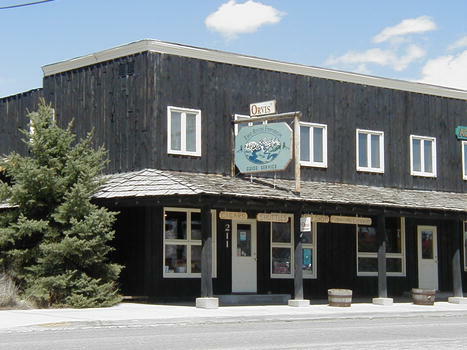 The Hatch Report is provided to Pinedale Online by Two Rivers Emporium LLC in Pinedale, Wyoming. Two Rivers Emporium LLC, an authorized Orvis dealer, is owned and operated by John Ross, a professional guide with over 20 years experience. Two Rivers Emporium floats areas of the Green and New Fork Rivers from Green River Lakes to Flaming Gorge Reservoir in Western Wyoming. They also have private property access that offers good cutthroat and rainbow trout fishing. This report is updated weekly through the fishing season and can be heard on Pinedale's KPIN Radio as well as found on John's web site, www.2rivers.net.